In my ongoing quest to make efficient use of everything in my fridge, I've come up with an amazing little recipe that I think you're all going to love. 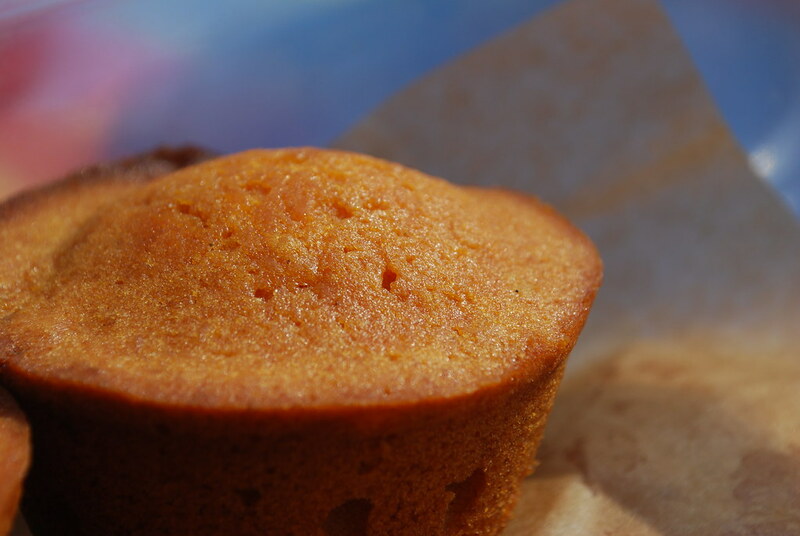 I've been calling them marmalade mini cakes since they seem to exist in that gray area between cupcakes and muffins. I got the idea a few weeks ago when a reader wrote me to ask if there was a way to make my Italian Rainbow Cookie cake without the almond paste since her husband is allergic to nuts. 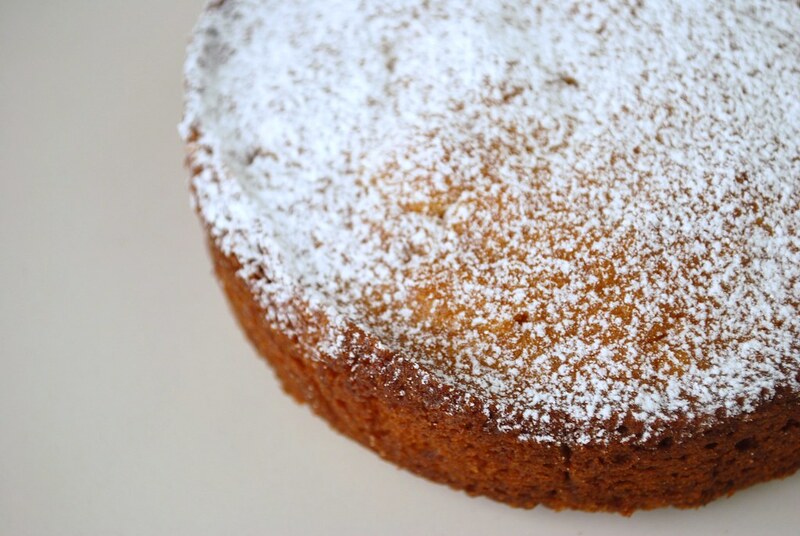 I told her I'd play around with the recipe and soon realized that by swapping out the almond paste for an equivalent weight of apricot preserves I was able to replicate the same moist cake with just a hint of sweet apricot flavor. I was hooked and decided to see what else would work in its place. You might remember that I made a large batch of orange vanilla bean marmalade back in January. I still have a few jars left, so I opened one up and mixed it into the batter. The final cakes are moist and fragrant with the scent of oranges and vanilla. The taste is sweet, with a slight hint of that classic marmalade bitterness, and every so often, you get a bite of lovely candied orange rind. Moist like cupcakes, but richly flavored enough to stand alone without frosting, they're absolutely perfect. I've been eating them daily dusted with just a hint of powdered sugar on top. I haven't been to the grocery store in forever so I'm all out of cream, but I think next time I'll definitely whip up a batch of bittersweet ganache to drizzle lightly on top. It doesn't need it, of course, but it might just be the thing to throw it over the edge. I tend to prefer cakes that I can throw together haphazardly in a one bowl and bake within the span of a single episode of Gossip Girl. This is definitely one of those cakes. And, blame it on the marmalade or the sugar or just sheer magic, but these cakes never seem to go stale. I baked my current batch on Saturday to bring to a picnic on Sunday and the leftovers have been hanging out on the counter all week in a seemingly perpetual state of perfection. This recipe will work well with any kind of marmalade, though I prefer the thicker cut kind since then you end up with all those lovely bits of candied fruit in the cake. 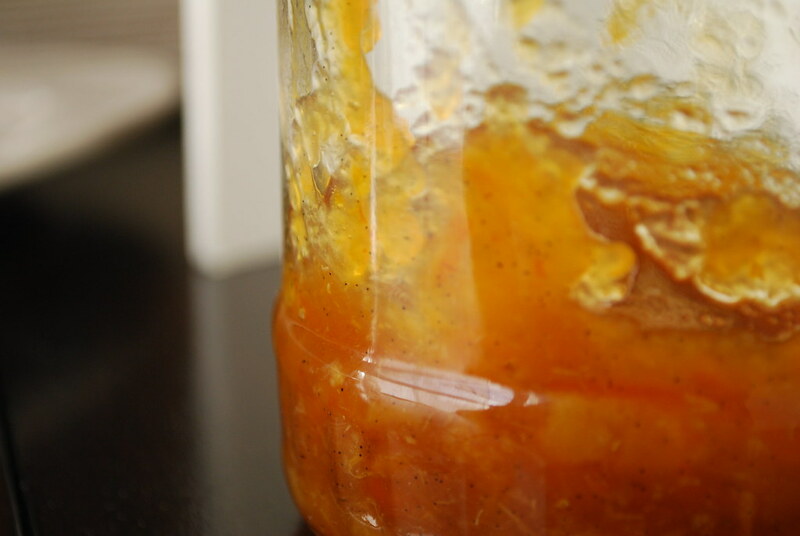 Apricot or peach preserves also work quite nicely. I suspect that raspberry would do the same, but I haven't tested it yet. If you do, let me know...Ok? Note: I tried to get the batter into 12 muffin cups, but I kept getting leftovers. In the end I just baked the final bits into a mini 4" springform pan. You can, of course, just make 2 more cakes. Whichever you prefer! 1. Preheat oven to 350 degrees. In the base of an electric mixer, cream the butter and sugar until fluffy. About 5 minutes. Add the eggs and continue to beat for 3 more minutes. Add the marmalade and extracts and beat until combined. 2. In a separate bowl, sift together the flour, baking powder, and salt then add to the butter mixture. Mix until combined. 3. Divide the batter evenly into the muffin tins (about 3/4 of the way each). You may have leftover batter which you can bake in a second batch. Bake in the oven at 350 degrees for approximately 20-25 minutes or until a cake tester inserted into the center comes out clean. let cool in the pan for 3 minutes and then remove and let cool on a wire rack. Dust with powdered sugar just before serving. 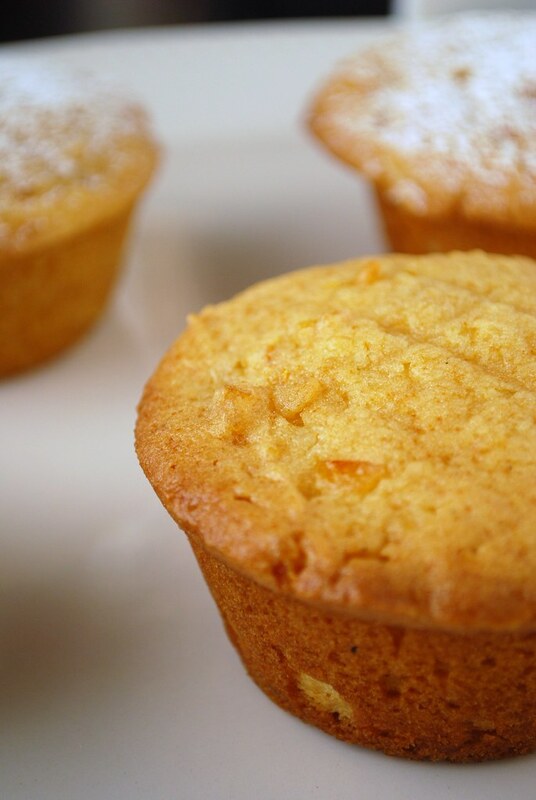 Store leftover cakes in an air-tight container at room temperature. Will keep for approximately 1 week. These mini cakes will be an instant hit in picnics. They are easy to package and not messy to eat. Orange and vanilla are just heavenly treats! Sort of like a creamsicle in cake form! Gotta try them. Thanks. My husband would die over these, as marmalade is one of his very favorite things. I also love the GG reference. I'm glad to know that I'm not the only person over the age of 20 who still watches it. I love this idea! I love cake that's iced with blackberry jam, but now am intrigued at the idea of incorporating a jam into the batter itself. I want to make this! What a lovely recipe! I love your descriptions. I can just imagine how delicious these are. Great combo of flavors. Bet they are delicious. Nice photos also! These are perfect for Spring, or a tea party! These were fantastic at last weekends Central Park picnic. Thanks, Alejandra! Ooh, I have a bunch of grapefruit marmalade left over from this month's Daring Bakers challenge, I should totally make this - I love how everything is else is a standard kitchen staple! Maybe even tonight. Last night I made a large cake using my Strawberry Lemon Marmalade, omitted 1/2 stick of butter and added a 1/4 tsp of baking soda, left out the almond extract added another 1/2 tsp of vanilla - everybody LOVED it! Thanks again for the idea & recipe. Very excited to say I baked this recipe for the Culinary Historians of Canada's Mad for Marmalade event, and it won first prize in the Marmalade Baking category. I solved the "extra batter" problem by using a large muffin tin lined with parchment paper. It's a great recipe; thanks!